Below you can find links to some very useful and interesting sites coverings organs and photography. Please click on a image to follow the link. Welcome to the Internet pages of Europe's oldest magazine on Organ Art: het ORGEL [i.e. the ORGAN]. het ORGEL is a magazine of Dutch origin. This Internet site contains English summaries of articles published in het ORGEL. Every second month we will add the newest summaries. 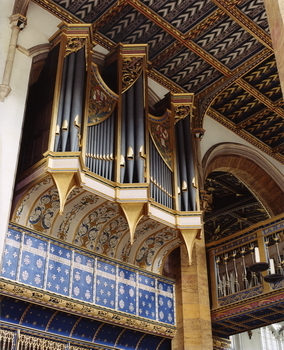 The site also contains a survey of which festival is happening where in Europe, and an extensive collection of links to other interesting organ sites throughout the world. Karen Willson is a traditional colour and B & W printer and have been in business sinse 1985. I print optically with traditional enlargers and processing equipment. The AIOA is a specialist organisation of accredited professionals, formed in 1996. Its purpose is to provide a central service for anyone in need of truly independent assistance with organ projects of any size. This website is provided by the AIOA as a first point of contact. At the Sign of the Pipe is a workshop dedicated to the building of small mechanical pipe organs and was established in late-2007 in Rothley, Leicestershire. In June 2011 the workshop moved to new premises in North Kent where sufficient space and height are available to accommodate work on larger organs.